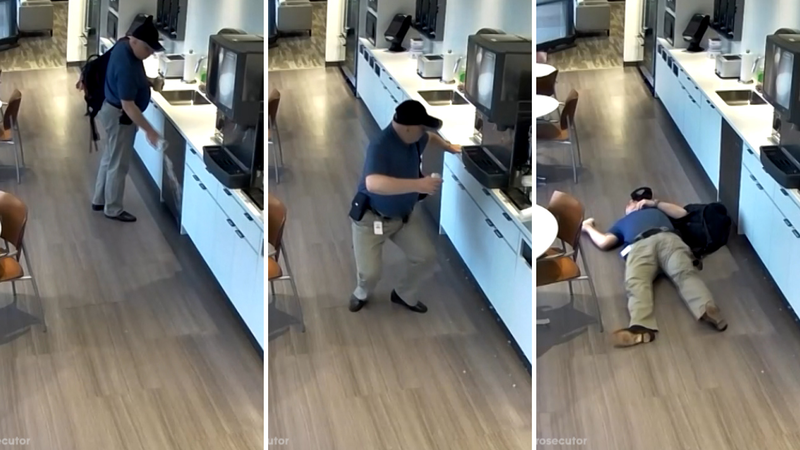 WOODBRIDGE, N.J. -- A New Jersey man was arrested and charged after officials say he purposely threw ice on a floor of business in order to fake a slip and fall. The Middlesex County Prosecutor's Office says 57-year-old Alexander Goldinsky, of Randolph, was subcontracted to work at a company in Woodbridge and allegedly orchestrated the scam in its break room. NICE TRY: A New Jersey man was arrested and charged after officials say he purposely threw ice on a floor to fake a slip and fall. That is such an obvious fake fall. There are surveillance cameras everywhere. He should have known he might be recorded. Well, he just shows one of the problems of our litigious society, sue somebody to get money, a windfall.